when those bushings come in, if you don't mind, make a sketch of them. i'd like to make up a set for my idler box. i'm sure i could noodle them out once the box is apart, but it would be nice to make them up in advance. regarding the o ring, i haven't got direct experience with how the master is assembled, but i remember reading that some kits have an o ring as a replacement for one of the cup/lip seals. do a search for this as its been covered several times before. you should find some good information and some drawings to guide you. Sure thing. Andrew said they are waiting to get one of the bushings in, then they need to machine it. So may be a while before I receive them. Thanks for the links!! Super helpful. Unfortunately I managed to lose one of the tiny shim washers that goes behind the cup and seal in my cleaning process. Hoping Omicron has one for me. Pretty happy with the progress that I've made recently on both the car and other things. I even tackled some homemade mushroom tortellini that turned out really awesome (first time ever making pasta). Anyway, to the car.. I finished up the rebuild of the master cylinder sans the new switch coming from Omicron. I then thought it was time to get started on the transmission while I wait on parts from Omicron for the idler box and master cylinder. Like last time, I said "no way in hell i'm spending 350 bucks on various gearbox tools" so I had another go at custom toolmaking, this time with better results. My uncle has a CNC plasma table so I just drew up a couple tools in Autocad and cut them on the table and then bent a little relief into them. 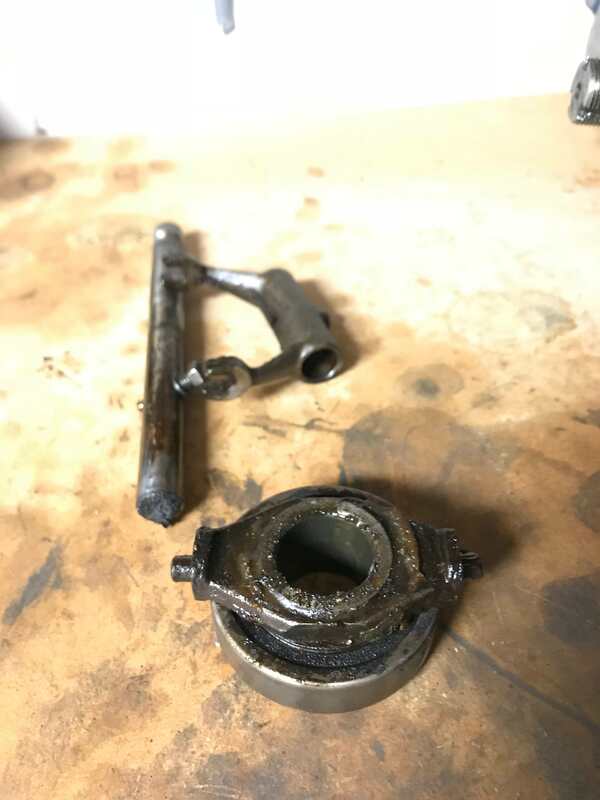 It worked fine on the first nut, but the second one started bending the handle of the tool (had to use pipes to get more leverage, as these nuts are on pretty good). So I cut another tool, and tacked it onto an impact socket.. not sure why I didn't do that to begin with (cut the handle off after taking the picture). 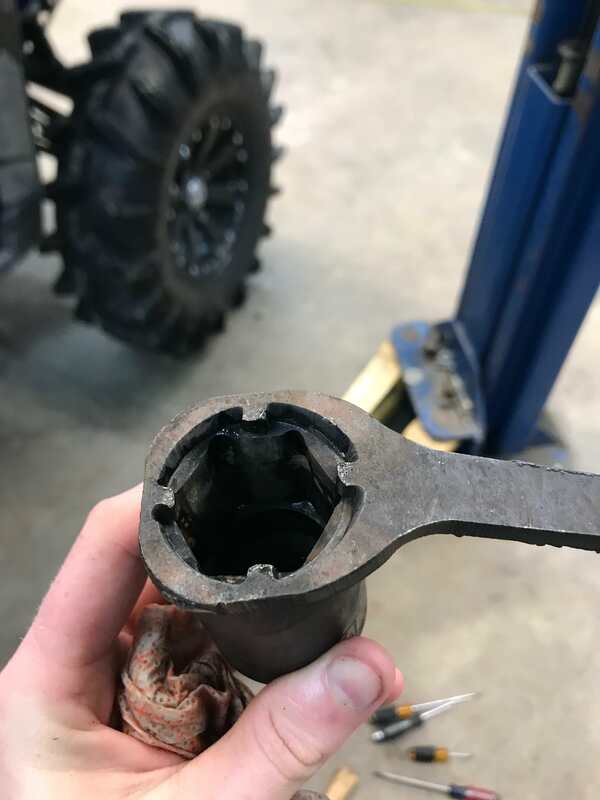 Luckily for the six slot nut behind, I was able to give it one good smack with a flat punch (not a chisel or punch, just flat on the end).. and it came loose. Very glad I'd seen on here and read in the manual that it's left hand threaded. 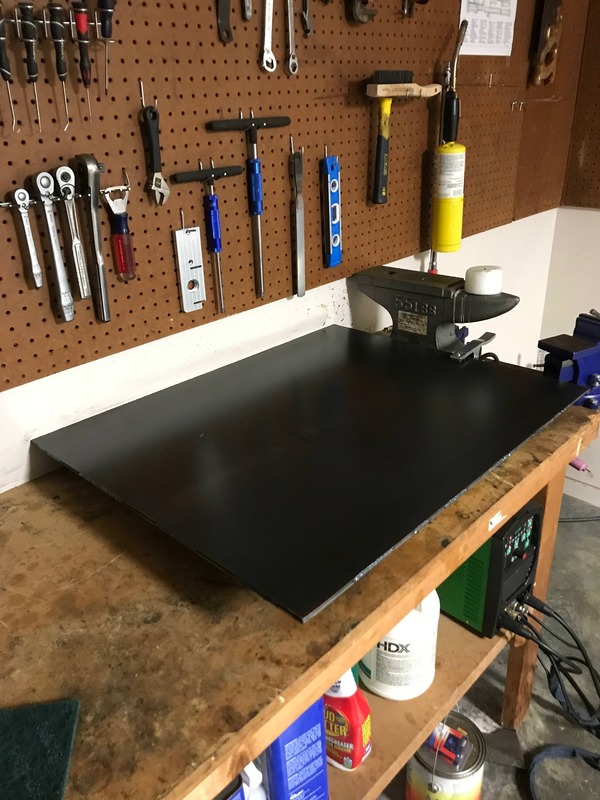 While using the plasma table I decided to make a little welding table for my home shop because I hadn't had the chance to do that since moving in.. here's the result of that. Inside the gearbox is some really nasty sludge at the bottom. The oil was a horrible color as well... I'm really glad I decided to take this thing apart because it's pretty apparent it needs it. 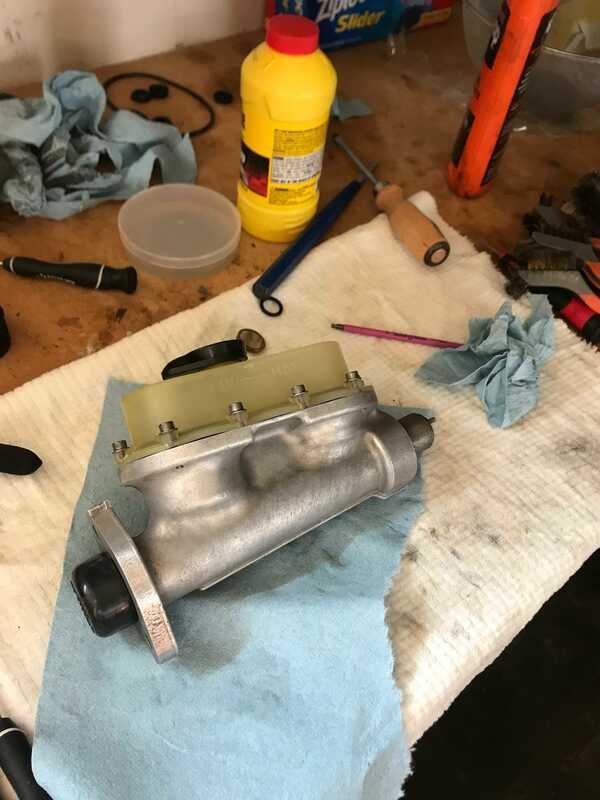 Going to try and get some backlash measurements for the diff tonight if I have time, almost have the input shaft out so I can remove the bellhousing part. 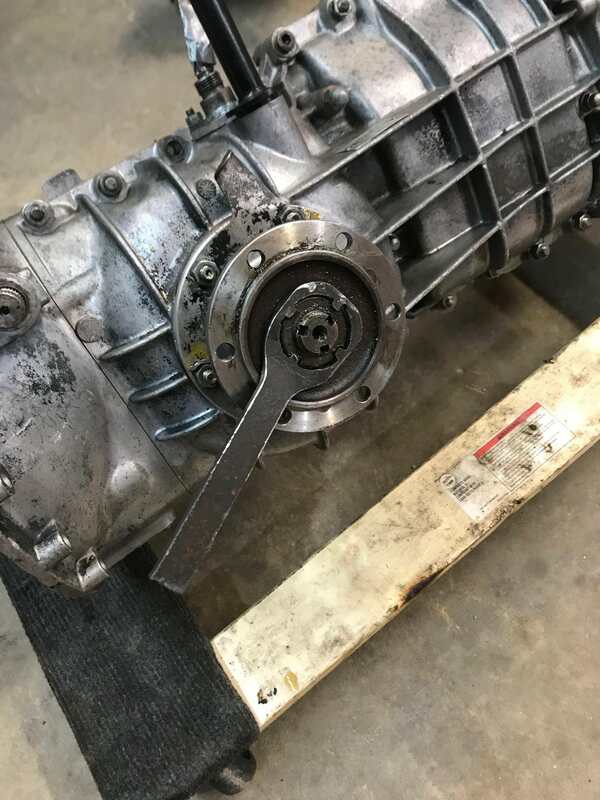 More pictures of the gearbox to come. So I've removed the bellhousing but I'm not really sure how to fix the the main shaft in place while I measure. What's the best way to set up for this measurement? To measure backlash you need the box with main shaft and diff in place and bolted together. You do not need the long "quill shaft". You also need the diff fully retained by its bearing so you need to do up those special ring nuts tight. I measure thro the bell housing hole using some thing like this https://www.rdgtools.co.uk/acatalog/...01MM-1387.html touching the edge of the crown wheel. just move the crown wheel back and forth you can feel when it touches the pinion. The Crown bearing FAG 3208D has been "renamed" 3208B. It is not the same design and should not be used as the contact area of the bearing is lower and cannot take the loads Use SKF 613243 A/C3 which is available. 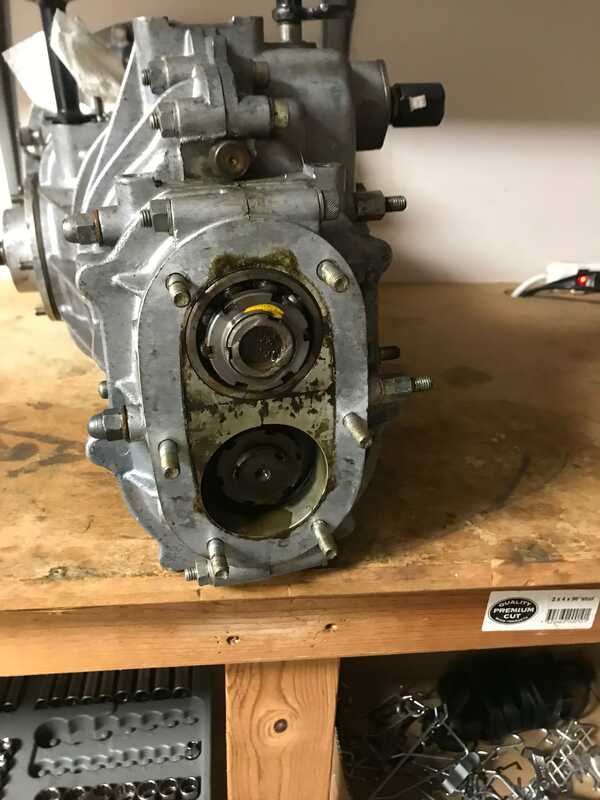 You will need to reset the backlash and check the meshing if you change the pinion and or crown bearings. Max backlash is specified as 15thou. Thanks for the info! That SKF is an expensive one, but the other bearings don't seem too bad (at least the ones I've looked up so far). The inertial of the main shaft is enough to hear the "clonk" back and forth. If you have an accurate and sensitive DTI then you will see the backlash. I use that finger type as you only need a few tens of thou measurement. I have just changed this big bearing (FAG) to a new SKF and the backlash increased 10 thou. So i undid the flange with the shims under (2 -11 thou, and 6 thou) and removed the 6 thou shim and got back my lost 10 though (well it was 12 though I got back but whose counting). As I did not mess with the pinion bearing this should be ok but I still did a mesh test with engineers blue (details in the fat workshop manual). Hmm.. I tried this but couldn't get it to click back and forth without moving the pinion. I'm now thinking this may be because of too much oil on the gears? 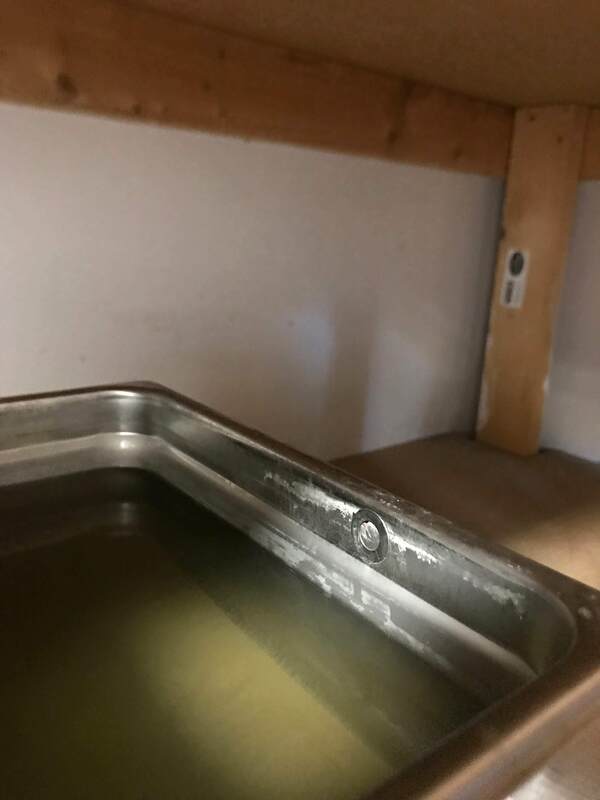 The oil is a nasty sludge/ pretty thick. If I get them cleaned off well maybe that will help.